← Is the Flu Vaccine Causing More Illness? For the last 200 years homeopathy has been used with a great degree of success for many infectious diseases, including measles. 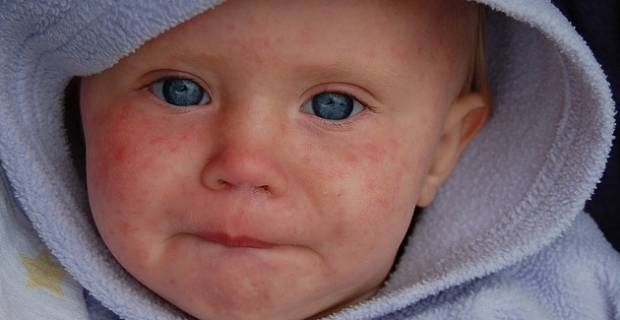 For most individuals, measles is a relatively mild disease and can serve as a beneficial process for the development of the child. However, for some individuals the disease can be quite severe resulting in permanent brain damage or death. When considering any prevention methodology one has to know the baseline level of health of their child and what other support options one has. Vaccination has its own level of risk depending on the age of the child. The older the child, the less of an impact the vaccine will have, as the immune system will be more developed and more readily able to make the appropriate response. Homeoprophylaxis offers another choice. Homeopathic remedies can be used as prevention for measles or in active cases. In active cases, remedies are selected based on symptom presentation. Accordingly, even though several people may contract measles, each of them may need a different remedy as their symptom presentation may be different. Most children can pass through measles quite well, and actually have developmental leaps due to the disease process. Life-long immunity is garnered through the disease process. Some may need homeopathic support. The first stage is marked by fatigue, runny nose, cough, and slight fever. There can be aching pain in the neck and back and the eyes may become reddened and sensitive to light. Each day the fever rises. By the third or fourth day the temperature may reach 103-104 where upon Koplik’s spots (small white dots) develop in the mouth and on the gums. Then, a fine rash begins to appear in the hairline and behind the ears gradually spreading down, covering the body in the next 36 hours. The fine spots enlarge and may run together, and also may become itchy. The fever usually subsides with the spreading of the rash. After a few days the rash dries and flakes. Risk in the disease comes with the height of the fever, or if the rash fails to appear, where upon the disease settles into the brain and can cause brain damage (see indicated remedies below). Use of either Pulsatilla or Euphrasia, whether for prevention or in cases when the disease has been contracted. Both these homeopathic remedies correspond to the common symptom manifestations of measles. They can be used if there is known exposure or at the first signs of the disease and cover the both the fluctuating temperatures, or runny nose and watery eyes, respectively. These remedies can be alternated if you are unsure which is best indicated, repeating the remedy that offers the most relief. Various other remedies can be given in active disease. When in doubt consult a homeopath. Depending upon the health of the individual and their vitality, they may contract the disease but the eruptions might fail to appear. In these cases there can be more damage from the disease. The following remedies may be indicated based on the symptom presentation and will move the disease to resolution, mitigating the potential damage: Apis, Bryonia, Cuprum, Helleborus, Stramonium, Veratrum album or Zincum, according to symptom presentation. The condition of suppressed eruptions, or eruptions that fail to appear, can cause a serious level of brain damage which looks much like the conditions that arise from the MMR vaccine. Accordingly, these remedies can also be of assistance in the clearing of vaccine damage from MMR, and may also be used as a preventative to the damage from the vaccine if used before vaccination. *The content of this website is not to be misconstrued as medical advice nor does it replace the consult of a physician or practitioner. Reader assumes the responsibility of investigating for themselves disease prevention and treatment methodologies that concur with their beliefs and understanding. The suggested protocol is for informational purposes and the reader assumes the risks and benefits of undertaking the protocol unless overseen by a qualified practitioner.